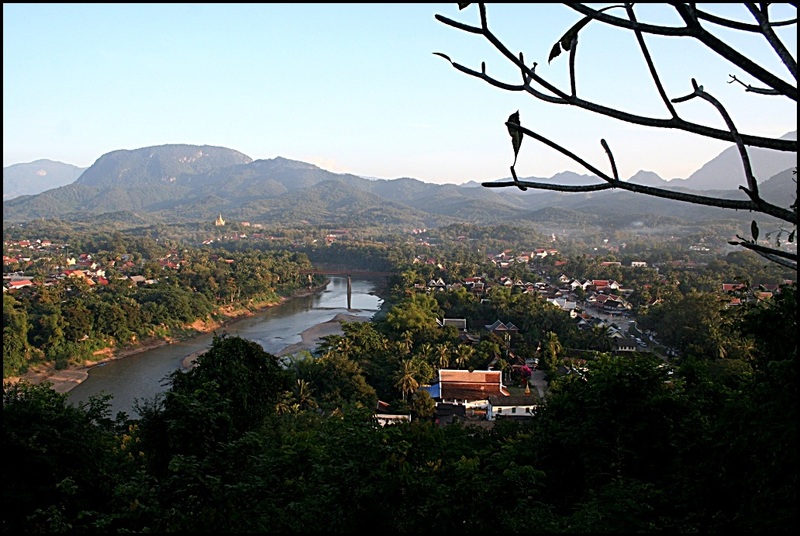 We spend leisurely days in Luang Prabang, the reputed tourist hub of Lao and our official gateway to South East Asia. We’ve already been in the country for over a month and are only starting to feel well rested. China wiped us out in almost every sense possible; the intensity of our 2-month sojourn took its toll both on us and our motorbikes. 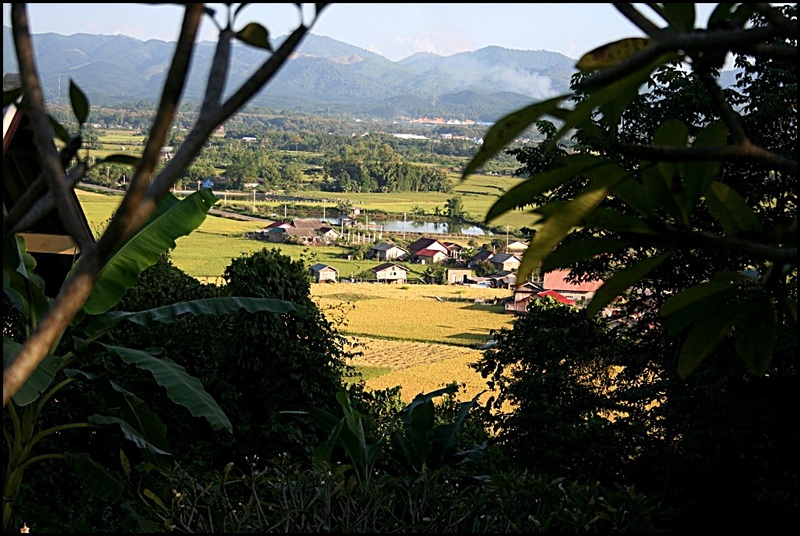 When we first entered the country, we spent almost three weeks in the small northern village of Luang Namtha. All we did was sleep, catch up on emails, eat and then sleep some more. Exhaustion took over, both physical and mental. We had not realised how tired we were, until we took one look at the bikes on the first day in Lao and thought ‘nah…not for a while now’. China was not a difficult country, per se, but it was nonetheless stressful to follow a pre-determined route of thousands of kilometres, in a relatively short amount of time. 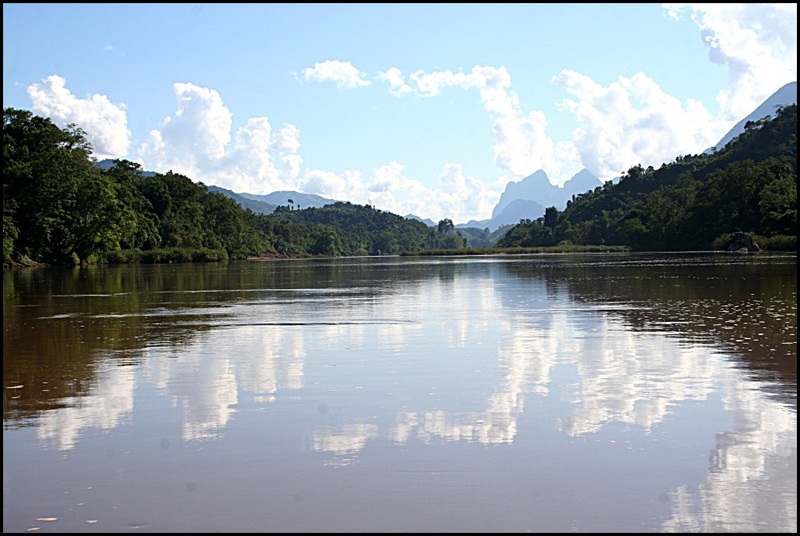 From the moment we crossed into Lao, we could almost smell our freedom returning. Freedom to go where we pleased, stay as long as wanted and do only, precisely, what we wanted. Bliss! And that’s how we came to spend our first month in Lao doing nothing much in particular, except rest, recuperate and catch up on our work. With all the Chinese shenanigans I had nearly forgotten that my new book, Pockeguide fuer Globetrotter, was being published back in Germany. It was only thanks to emails sent by Chris’ mum (who received the first 10 copies) and by my publisher (who proudly announced that they’d published Pocketguide just in time for the Frankfurt Book Fair) that I was brought back to earth and into ‘real life’. Excitement took over immediately and, funnily enough, even China was immediately sent back into the recesses of my memories. I’m so extremely happy and proud to see Pocketguide out into the world! If you remember, this was my BIG project from our last winter layover in Georgia, where I spent 3 months effectively surmising the last decade of my life on the road. The process of writing it was therapeutic and rewarding enough, yet seeing it published brings me into a whole new level of happiness. So anyway, about Lao. With all the work, excitement and rest…somehow I got bored, which probably doesn’t surprise anyone who knows me well. Although our visit here has more to do with geographical positioning rather than anything else (we probably would not have made a detour if it hadn’t been on the way) we obviously took an interest in this unassuming country and took to researching just a little of its history. What we discovered turned out to be one of the dirtiest secrets in modern history. To understand any of this story, however, we need to go back to 1964…. Shhhh….can you keep a secret? The USA certainly can! It had been nearly a whole decade since the USA was at war in Vietnam or, more specifically, since the US-backed South Vietnamese army was fighting the China and Russia-backed North Vietnamese. What this was, at the end of the day, was a war against the spread of communism, or at least that’s how the US saw it. Lao, in all of this, had managed to remain neutral, although its proximity to the front line ensured this would not continue for very long. In order to destabilise the communist Vietnamese, the USA started bombing the bejeesus out of Lao in 1964, knowing well that Viet Cong fighters were using secret trails in this country to move supplies and ammunition. 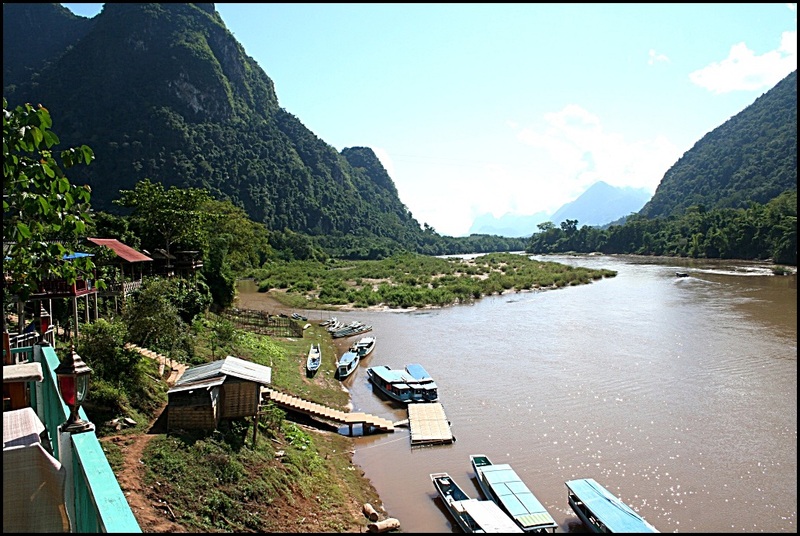 The Trail was a network of tracks which ran from North Vietnam, through eastern Lao and Cambodia, and ended in South Vietnam. It was used by Nth Vietnam to supply equipment, arms and ammunition to the Viet Congs fighting US troops in the south. The trail ran for hundreds of kilometres. For years, the North Vietnamese denied the existence of the Trail. For just as many years, the US denied bombing it. President Kennedy at a press conference in 1963, literally weeks before the first bombs were dropped. Between 1964 and 1973, the US dropped 2 million tons of ordnance on Lao, more than all of the bombs it dropped on Germany and Japan COMBINED during the ENTIRE DURATION of the Second World War. That is the equivalent of one planeload every eight minutes, 24 hours a day, for nine years in a row. Yes, you read those numbers correctly. 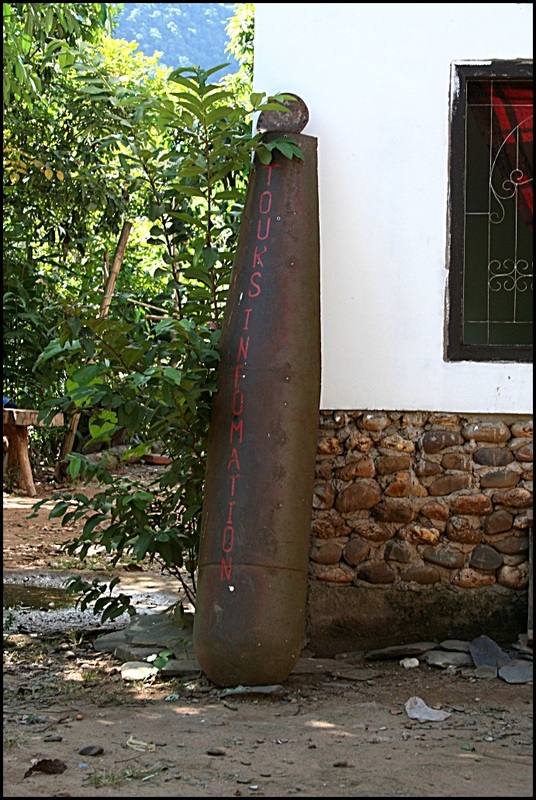 Over 270 MILLION cluster bombs were dropped on Lao, more than all the bombs dropped in all the wars since bombs were first invented. 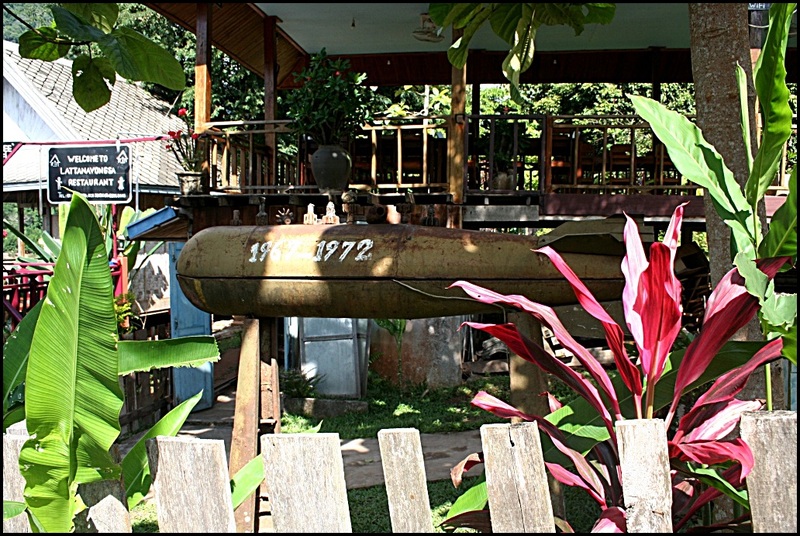 If you take a moment to re-read the numbers, you may be as dumbfounded as Chris and I were as we stood in the war museum in Luang Prabang, trying to take it all in. As we meandered our way through the small collection of memorabilia at the UXO Visitor Centre in Lao (UXO stands for unexploded ordnance) we finally learnt that we were standing in the most bombed country on the planet. Ever. The first person to bring the world’s attention to the fact that the US was bombing Lao into oblivion was a man called Fred Branfman, who was ironically sent to the country in 1969 as an education adviser by the US Government. What he witnessed left him in shock. Wherever he went, he met thousands of locals retelling the same stories, of huge planes flying over their land dropping an inconceivable amount of bombs. Once Branfman returned home and started asking questions, his claims were fervently rebuffed by the same authorities who sent him to Lao in the first place. Branfman became a staunch anti-war activist and spent the rest of his life writing books about the US’ secret war on Lao and called the country ‘the most secret place on earth’. The most astonishing thing is, and indeed the point of this entire post, is that Lao is still, nowadays, the most secret place on earth. Because if all you’ve learnt so far doesn’t get your blood boiling, perhaps the next few paragraphs will. 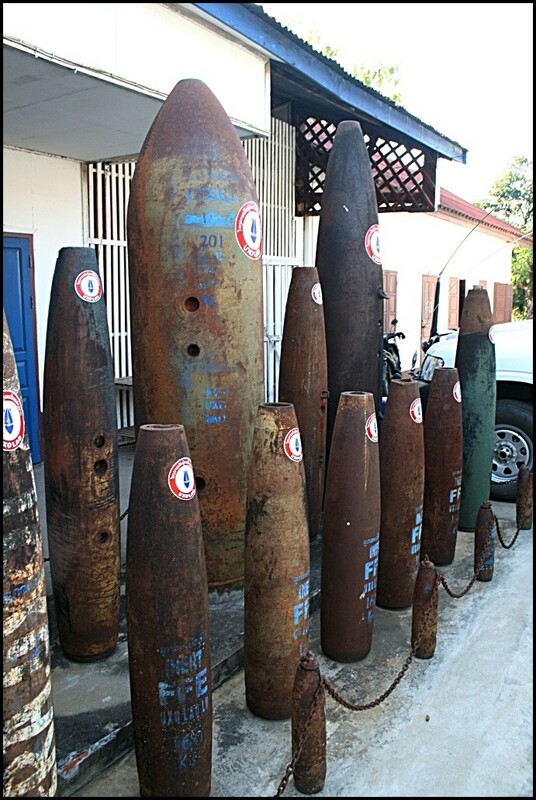 If millions of cluster bombs dropped on Lao are not enough…one third of them failed to detonate on impact. What this means, is that Lao is still the most bomb-ridden country in the world, even 40 years after the war ended. A country home to almost 80 million unexploded bombs. Or UXOs. 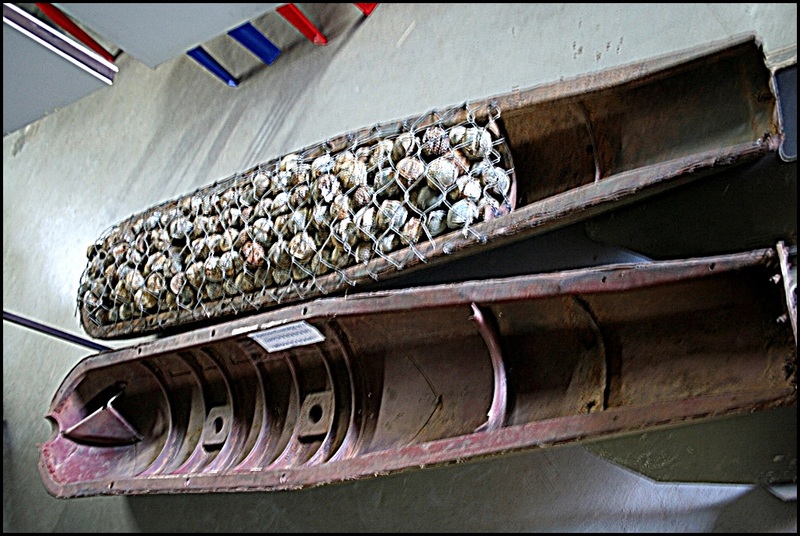 Over 270 million cluster bombs were dropped on Lao during the Vietnam War (210 million more bombs than were dropped on Iraq in 1991, 1998 and 2006 combined). Up to 80 million did not detonate. Nearly 40 years on, less than 1% of these munitions have been destroyed. 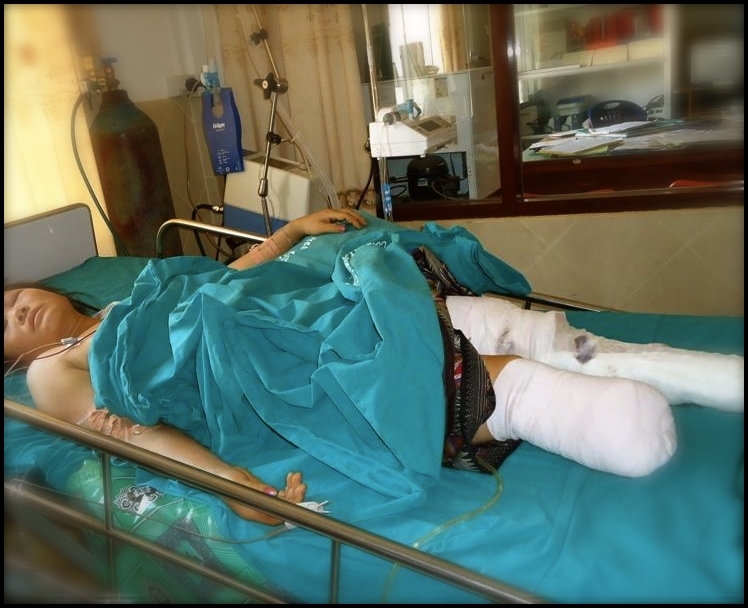 More than half of all confirmed cluster munitions casualties in the world have occurred in Lao. 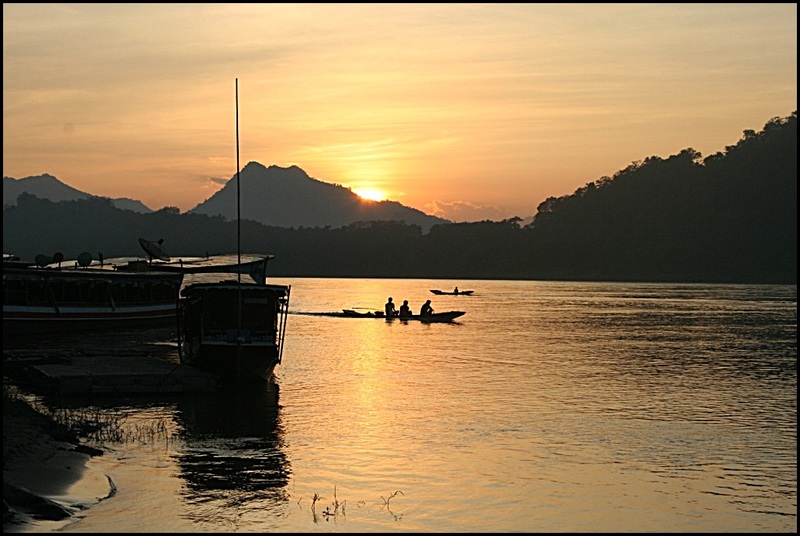 Each year there continue to be over 300 new casualties in Laos. Close to 60% of the accidents result in death, and 40% of the victims are children. I find this always a very difficult topic to discuss, mostly because I have to deal with my own personal conflictions. How can I discuss war crimes when I personally believe war to be a crime at even the best of times? How do we blame one country for what it did, knowing well that if its opponent had access to the same ammunitions they would have probably done the same thing? I remember watching an astounding Japanese-made documentary years ago, about the nuclear bombing on Hiroshima and Nagasaki during WWII. A surviving Japanese general frankly stated that, in his view, the US should not be vilified for such actions during a war. ‘If we had our hands on nuclear bombs’ he reasoned ‘We certainly would have dropped them on American cities.’ And that’s that. Yet if a country is directly responsible for an insane amount of unexploded ordnance still existing on foreign soil, my question is…WHY THE F**K ARE THEY NOT MADE TO CLEAR THEM???? 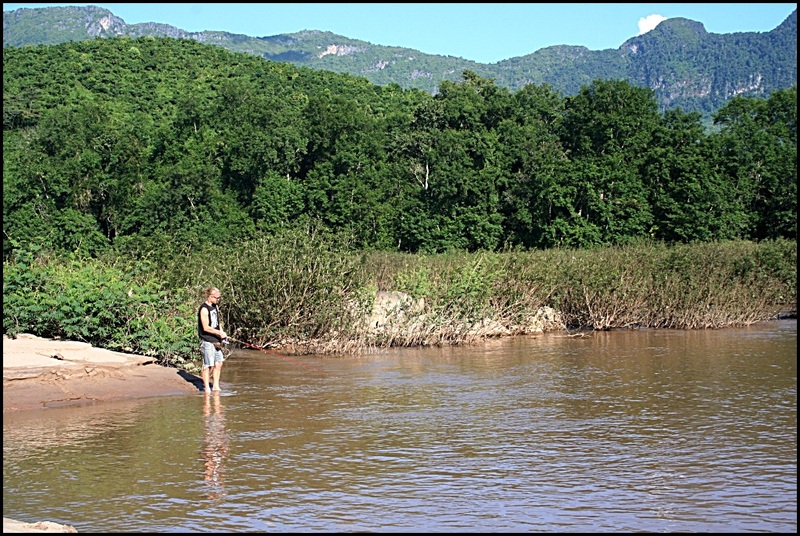 Lao is almost entirely alone in clearing its own land of unexploded ‘bombies’. This is what a cluster bomb looks like. It opens mid air and shoots off ‘bombies’, which have a killing range of 30 metres each. There are approximately 300 bombies inside each bomb. Embedded in the earth, precarious and at times enticing to children (what’s that shiny ball? Oh let me try to break it open! BOOM!) bombies keep on resurfacing every year, especially after the intense rain season manages to displace earth in enormous amounts. Affected farming land is marked, although people here are so poor that they will risk life and limb (both literally) to utilise the land in order to feed their families. My issue, with all of this, is the incredible reluctance of the country responsible for this still on-going problem, to pitch in and help. The U.S. spent as much in three days bombing Laos ($51M, in 2010 dollars) than it spent for clean up over 16 years ($51M). 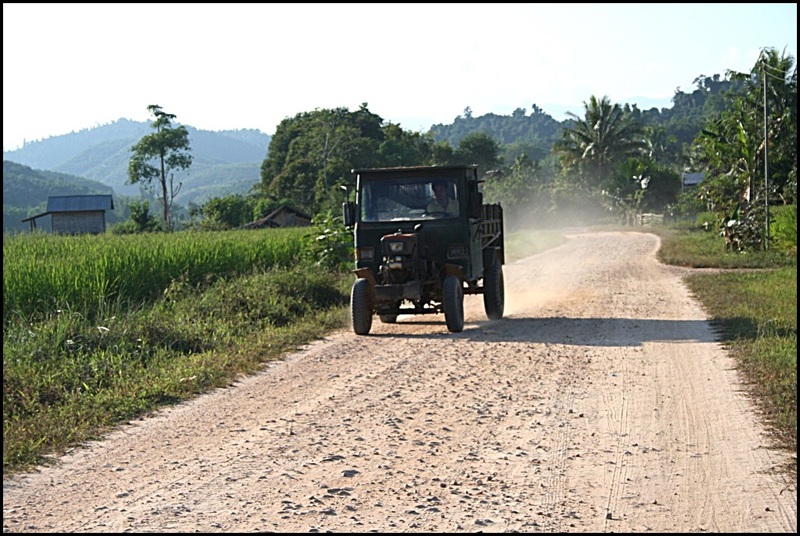 Between 1995 and 2013, the U.S. contributed on average $3.2M per year for UXO clearance in Laos; the U.S. spent $13.3M per day (in 2013 dollars) for nine years bombing Laos. As to the reason why a country has been allowed to brush off responsibility for its actions abroad..well…your guess is as good as mine. Lao is possibly one of the nicest countries I have ever travelled through. The people are friendly, nature lovely and climate superb. It isn’t a ‘spectacular’ place by all means, home to the world’s most important archaeological or historical sites, or with a culture so unique that it belies belief. No. Lao is just an ordinary country, inhabited by ordinary people who occasionally get blown to smithereens for no reason other than the fact they were born in the wrong place. But it doesn’t need to be spectacular, to be of importance. If you feel like sharing its story to increase awareness then go right ahead. Because if more people know, perhaps more will be done. I’ll leave you know with some pics of our most beautiful moments in this country. 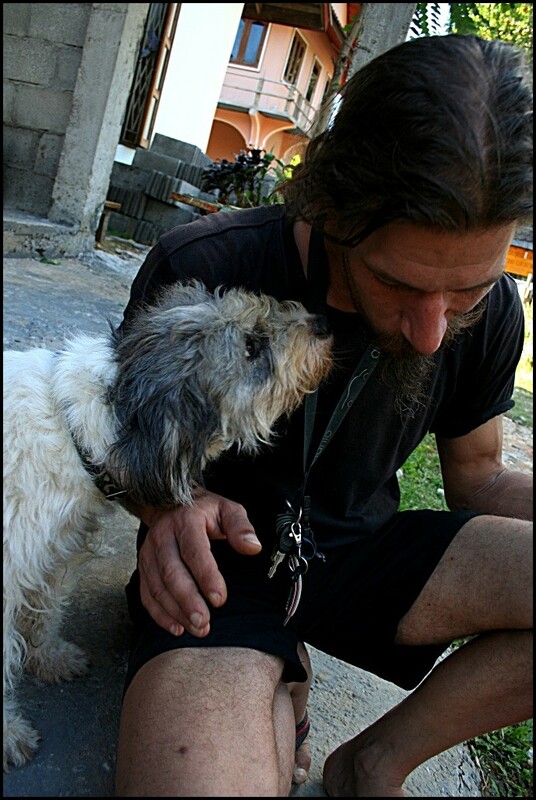 Because sometimes one can elicit affection if only one puts a name to a face. Let’s give this country exposure, let’s give it a face and, most importantly, a voice. Here is our Lao. We are so sorry for what we allowed to happen even though we did not even know it was happening. You are a secret no longer. 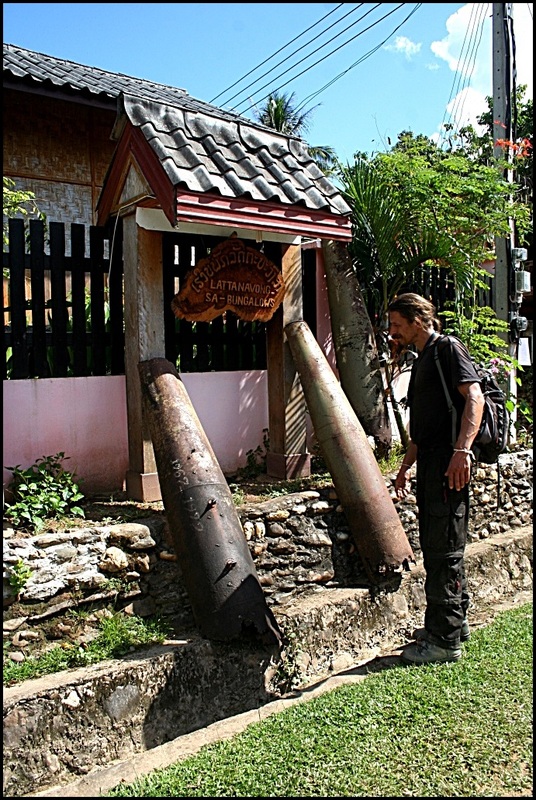 Chris inspects the engraving on bombs in Muang Ngoi. 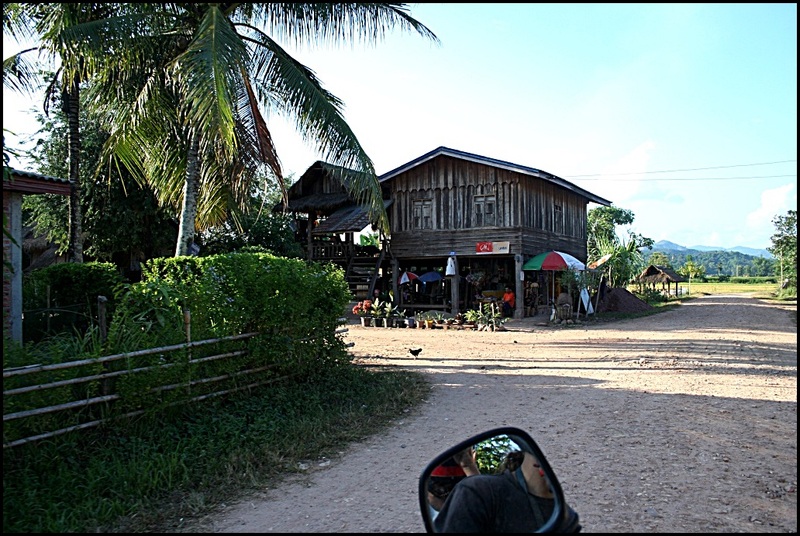 This was one of the most heavily bombed towns in Northern Lao. It only finally received electricity in June 2013. 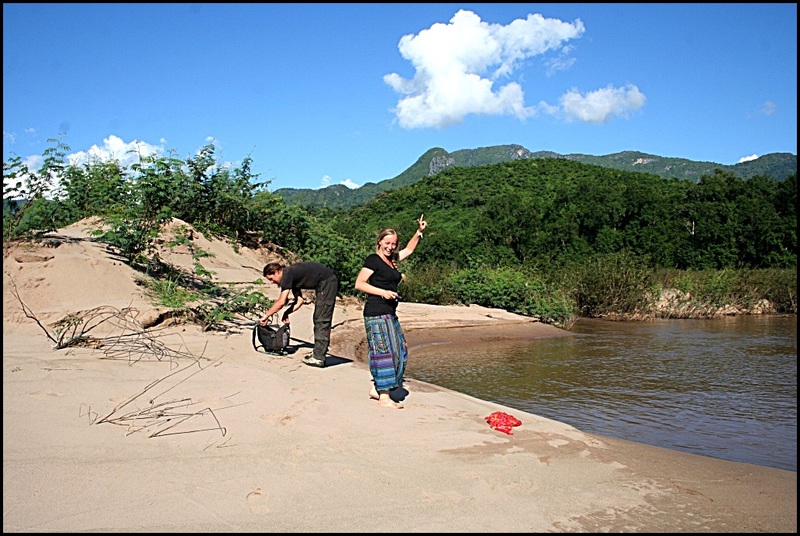 This entry was posted in Overlanding and tagged adventure, adventure travel, BMW F650, bombies, cluster bomb, discovery, emotional struggles, explore, journey, Laos, Luang Namtha, Luang Prabang, motorbike trip, Muang Ngoi, Nong Khiaw, Overland, Secret War, USA, UXO. Bookmark the permalink. Fantastic article, Laura. Harrowing stuff. I, too, was shocked when I was there. The locals seeemed pretty blase about the whole UXO thing but maybe that’s just their resigned way of dealing with it as Uncle Sam sure ain’t going to help clean up the mess they made. There’s a great DVD I have called “Bomber and Roy” that came out on ABC a few years ago about 2 ex-Vietnam vets from QLD who go to Cambodia every year and train the locals how to safely detect these UXO’s and then get them to go for expert help. Unfortunately the local scrap dealers pay about $25 – $50 for each UXO the kids find, making it very tempting for kids to want to feed their families for a month. I also knew an Aboriginal guy up at Katoomba, called George, who told me when he was 21 he sat on a hill in Laos with a radio transmitter and guide the B52 bombers in to bomb the place. 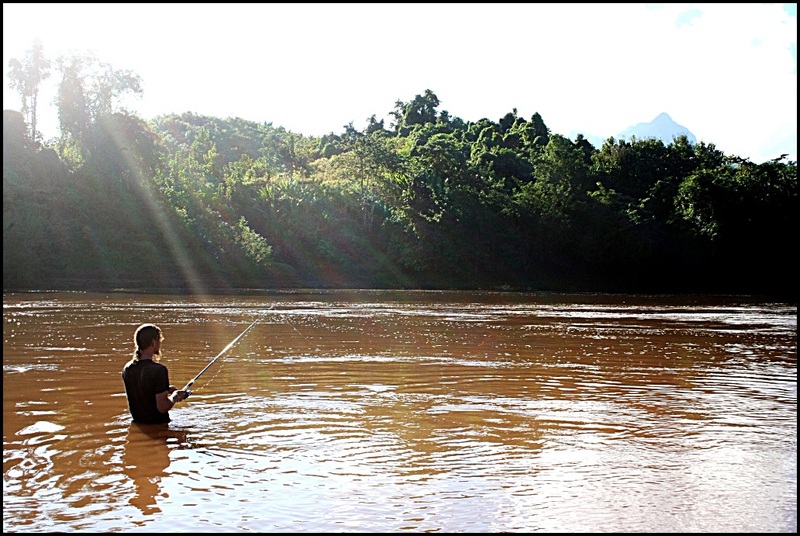 Laos was and still is one of our favorite places to return on our trip. Reasons are these friendly, peaceful people, the boredom – as you say – oh and we loved boredom after vietnam!!! and just being out in nature without hassle, to feel free as a human and be as you are. Its history touches a lot, so much, that it leaves something in your soul while other places stay as nice memories in your mind. But Laos didn’t. That’s why we will come back! Stay and enjoy as long and much as you can of this country! Amazing figures Laura, I was shocked at what I saw in Cambodia as per undetonated ordinance and the work of a few dedicated volunteers but this is mind numbing. Thanks for exposing this and as many ask, “why doesn’t everyone love America?” Question partly answered. Cheers, Ken.